This is to let you know of an event which is planned for Sunday 29th June from 11.00 to which all golf club members are invited. 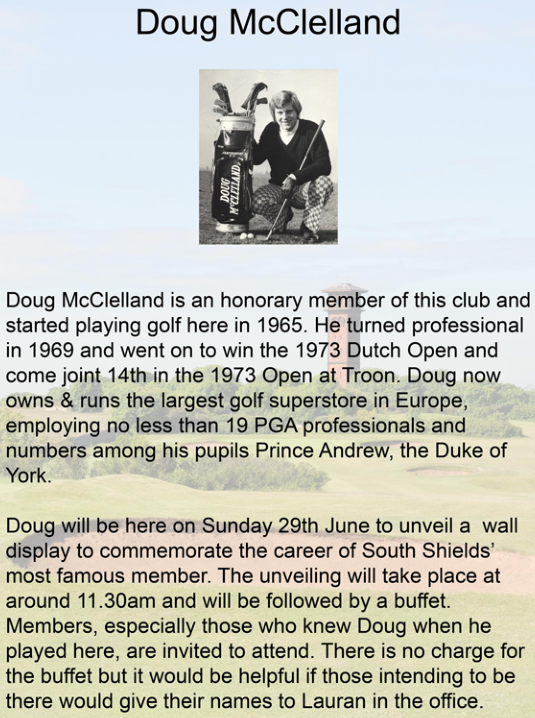 The poster below shows the details of the event, it is to pay tribute to one of the most famous past members of the South Shields Golf Club, Doug McClelland. He won the 1973 Dutch Open, came joint 14th in the 1973 Open at Troon and now owns and runs the largest golf superstore in Europe.